The expectation to have reliable, high-speed connectivity "anywhere, anytime" has led to many challenges, especially when it comes to providing access outdoors. 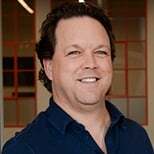 In today's Whiteboard Wednesday, Michael McNamee (Senior Network Engineer) at SecurEdge Networks, explores how outdoor wireless mesh networks work, when they should be used and offers some key tactical advice. Learn How You Can Deploy a High-Capacity, Secure Wireless Network, Download your Free Wireless Network Design Kit Here. Hello, SecurEdge fans, and welcome to another edition of our Whiteboard Wednesdays. This week, we're talking about wireless mesh networks, and what are they, and when they should be used. Outdoor wireless is a much different challenge compared to more traditional indoor wireless networks. It takes a different skill set and a very specific understanding of designing wireless for large, outdoor spaces. 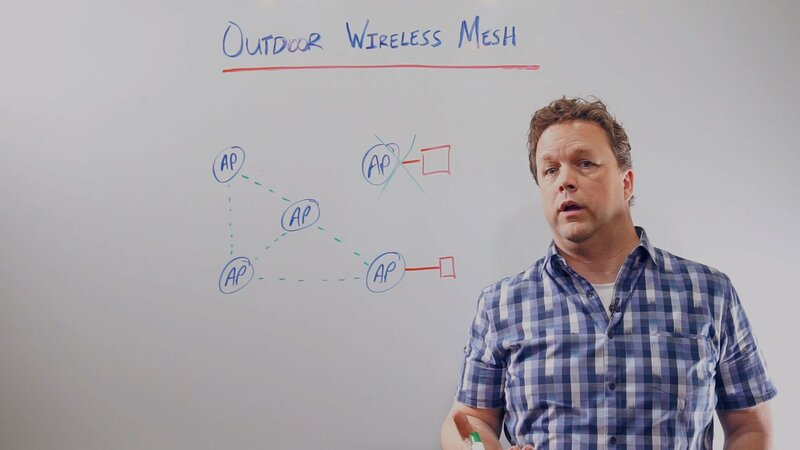 We get questions constantly about outdoor networks, especially about outdoor mesh, and for this reason, today I wanted to talk you through what a wireless mesh network is and when it should be used. 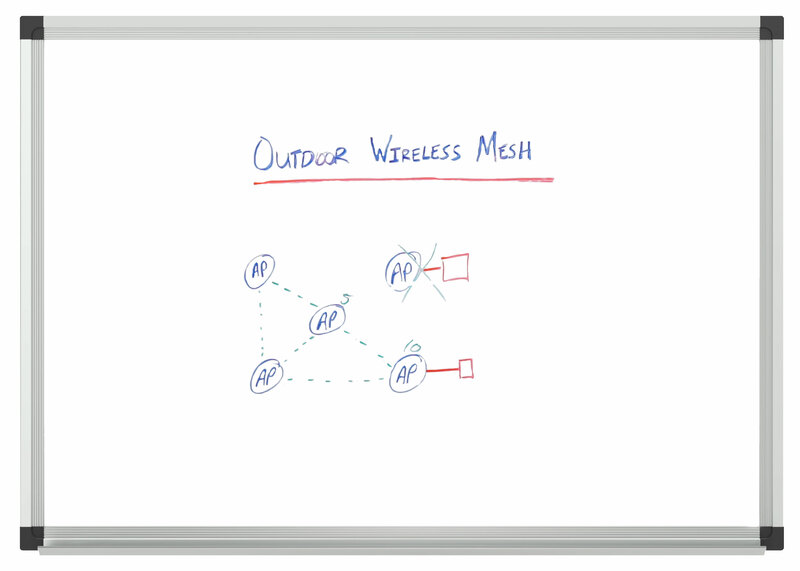 What is Outdoor Wireless Mesh? Wireless mesh is a solution comprised of access points where some of the access points are wired into the network and others have no wire, only power. The unwired access points create a web of wireless interconnections between themselves and the wired access points, which act as a wired portal into the network. These interconnections allow them to choose the shortest or fastest routes back to their wired portal, onto the wired network. So, in this example here, we've got a couple of wired APs into the network, and then we've got three APs out in the campus that are unwired to the network. They're only using power at their locations. So in order for them to get back to the wired network, what they do is, through the mesh technology or the mesh protocol, they are creating back call links between themselves. So each AP has a relationship with the other AP, they create these interconnections, and this allows them to figure what the fastest or shortest route back to the wired network is. Now, let's suppose that this AP fails. Power gets pulled out and cable fails, whatever the situation is. The mesh network has the ability to self heal and to find another path back to the wired network. So before, where this AP had a very short path, fast path, back into the wired network, it now has to reroute its traffic through the center AP, and then back to a wired portal. So in essence, this gives the network the ability to self-heal. When Should I Use Wireless Mesh? So wireless mesh is a great solution when a distributed wireless network is needed across some very large areas. Typically, you'll find them in cities, utility fields, rail yards, and other areas where running cables is something of a challenge or impossible to do. With mesh, it is possible to provide data connectivity wirelessly to areas that need access for such things as security cameras, access controls, emergency services, as well as control automation. Well, where wireless mesh is not such a great solution is in indoor environments, like schools, hospitals, arenas, and office buildings. Due to the nature of mesh and how it uses the same channel to create connections with other access points, we run into issues with channel reuse and sometimes channel contention. Some vendors tout mesh as a fail over option for indoor APs in the event that the indoor AP has a switch failure or a cable failure. The problem with that is, the switch or that cable, if it fails, is usually what it's providing power to the access point. So, mesh really isn't a solution for indoor anyway. Anything past this hop limitation is going to suffer terribly inadequate throughput and ineffective performance. A hop is from one mesh access point to another, and each hop essentially has the throughput. So if your connections starts with, let's say, 10 megabit, so let's just say here, we had 10 megabit at the beginning, as soon as I make this first hop, I'm going to have my bandwidth to about five megabit. If I make a second hop out to this AP, I've now downgraded my bandwidth to two and a half megabit. So you can see, as additional hops are introduced into the network how it's going to degrade the performance. Wireless mesh is a great solution in the right implementation, but it's proper use and application must be examined before you proceed. Starting out with an insufficient design and improper application is at risk for disaster and financial loss. All right, everybody. I look forward to your comments, as well as answering any questions that you might have about wireless mesh networks. Thanks for watching, and I look forward to another edition of our Whiteboard Wednesdays. Take care.